We’ve got something a little different for you this time around. How many have you wondered what it is like to be a landlord? On the other hand, have you wondered what it would be like to live in a communist country? Well, you’re in luck, we are able to give you a glimpse into both with Beholder. You are hired as the new landlord for a six-unit apartment complex, and given living quarters in the basement for you, your wife and two kids. Now, your daily routine includes the things you might expect: fixing appliances and repairing furniture. Though we go a bit further than that. You must install video cameras in your units and peek through keyholes in order to keep an eye on your residents. If that’s not enough, the government periodically comes up with new mandates making certain things illegal. And being in possession of illegal items is punishable by arrest. Do you have music albums from the 70’s? Illegal. Do you own books by a certain author? Illegal. It is part of your job to snoop in the residents’ apartments when they are not home, so you know what goes on in your building. From time to time, your phone will ring. When it does, you must drop everything you are doing and run. If you miss a call, you will be penalized. The phone calls may be the government informing you of incoming residents that you need to take in. It also may be informing you that you did not meet your requirements, and being penalized. Add to this, you are met with several ‘gray area’ topics. 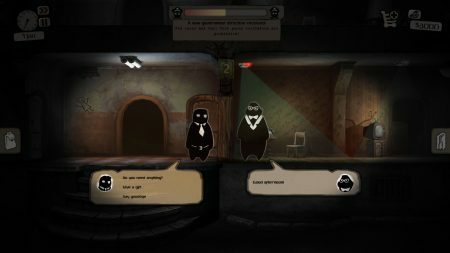 Will you figure out a way to raise $15,000 to keep your son in college, or default on the bills, and let his fate be working in the mines, far from home? Set up a depressed resident with a prostitute, and the colorful history that comes with her, or set him up with another resident’s niece? It becomes quite interesting as you assume the role of the landlord. You have to keep tabs on everyone. Sometimes you have to turn in the information you’ve collected. Other times, it is up to your discretion: do you turn in these notes for a quick buck, or hold on to them for later? If they’re a good resident, what’s the harm? You never know. Or maybe you don’t want to lose them yet, so you decide to blackmail them instead. Get them to shell out some cash, in order for you to keep your records sealed. This will effect your reputation though. And your reputation has an effect on how much money you have to spend on upkeep and things, so there is always a balancing act. If you are unable to do your job effectively, you will be arrested for neglect. Game Over. I had seen three or four of these game over screens when I got far enough that I could not pay for my daughter’s medication. She died. I figured there was no chance I would make it past this, another arrest for neglect. I was wrong. The police collected the body, I was charged for the funeral. A brief cinematic of the funeral played, and it was back to business as usual. You begin to do things to keep your job, that you would not do right off the bat. Condemn your kids, done. Arrest your wife, done. Chase off your best residents, done. It can be a sad existence, being the overlord of these six apartments. 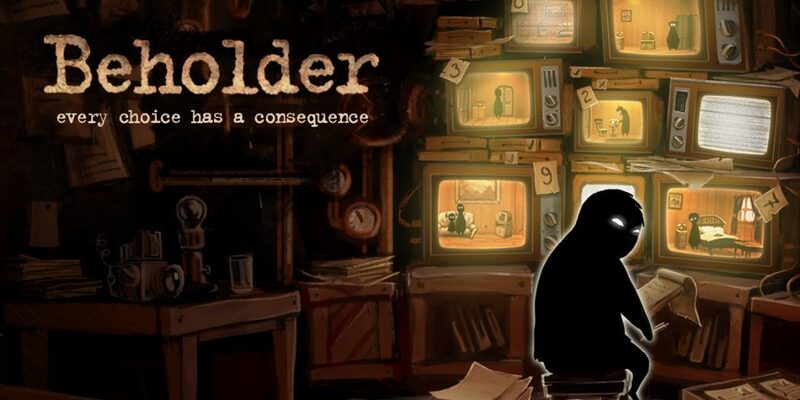 Pick up a copy of Beholder and see if you have better results. 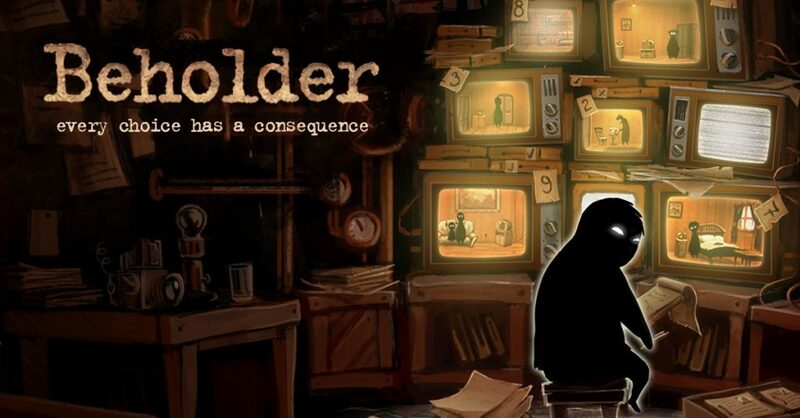 You never know what it is like to be a sneaky, questionable landlord until you have spent some time with Beholder. You begin to make choices that will suprise even yourself. Take a trip and see what you are capable of.